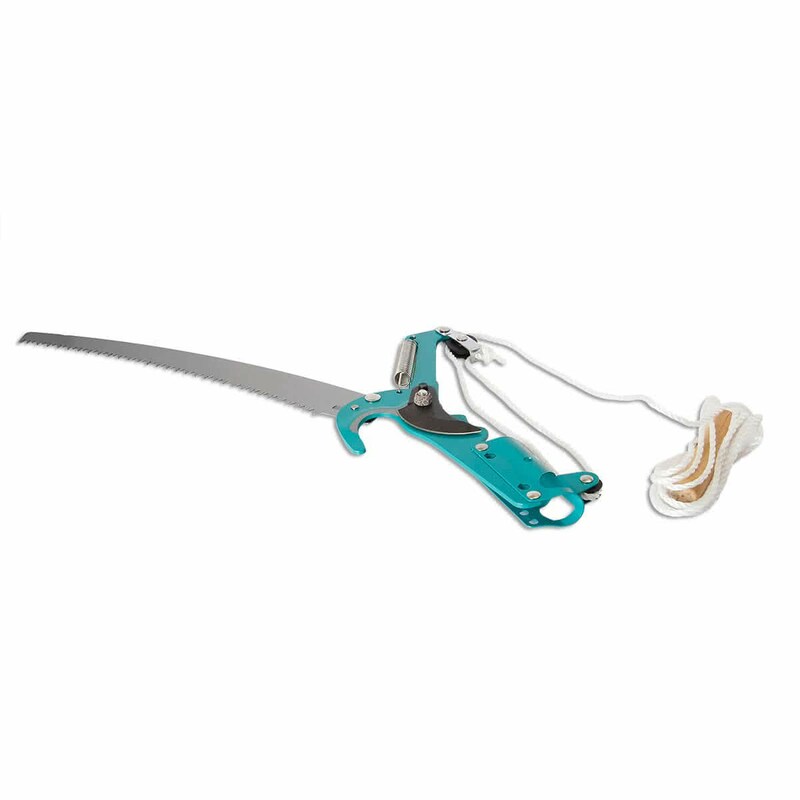 Make reaching and cutting branches easier than ever with the Pyramid Deluxe Tree Pruner. 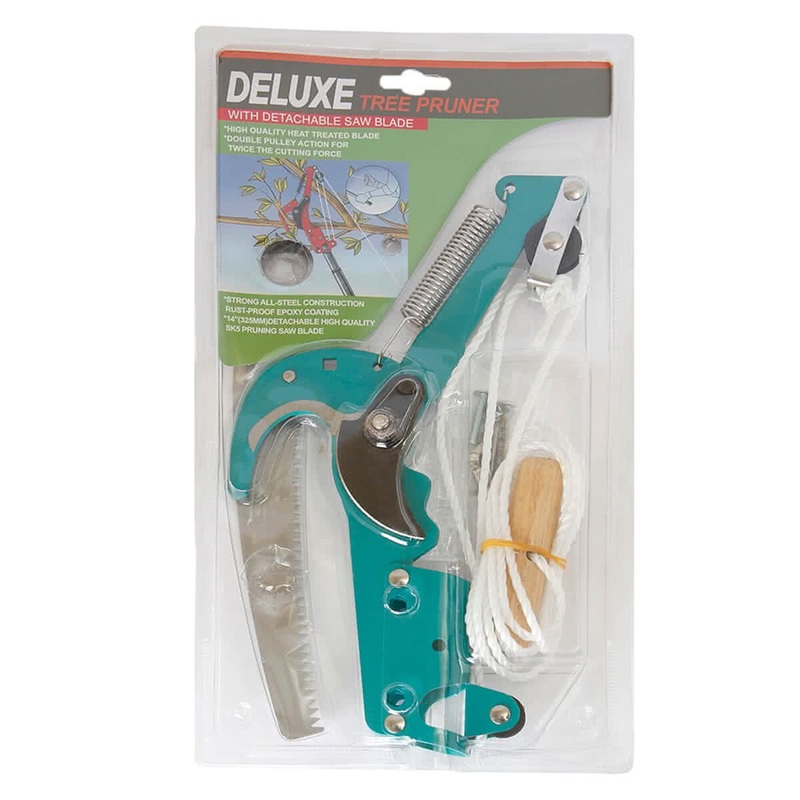 With a 12 inch blade to remove unwanted branches and twigs, it also comes with a curve saw for those thicker branches that may prove difficult to remove. The Gardenia Deluxe Tree Pruner requires an attachment of a long wooden handle to reach higher areas of trees and have a tight grip.